PDF Content: English language instruction text, pattern in chart form only. 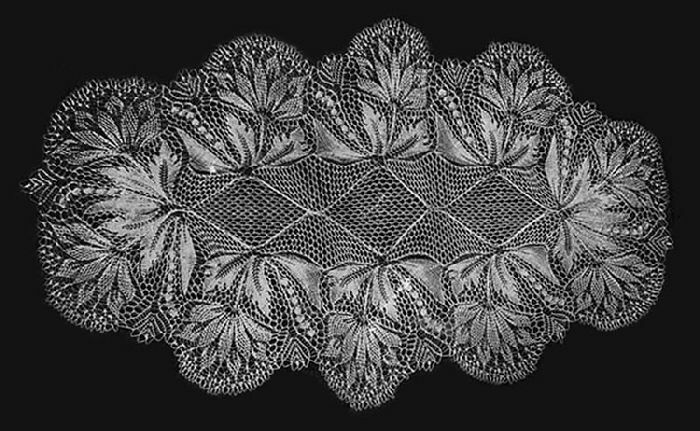 For buffet doily, 34 x 46 cm (13.6 x 18.4 in), for table doily, not given. for table doily, six-cord silk, knitting needles U.S. Size 4 (3.5 mm).